This school holidays, why not treat your family to a glamping experience! Learn about Australia’s outback in the Top End, sleep in a tent (well a hotel standard one that is!) and enjoy daily tours from the lodge where you can experience wildlife in their natural environment. We are currently offering a special 20% off room rates for the month of April for direct bookings. Enjoy, 1, 2 and 3 night’s stay at this special price. 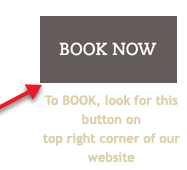 All bookings must be made directly with Wildman Wilderness Lodge, via our direct booking site or by contacting us on Phone +61 (08) 79057166. Be quick, April is a busy time of the year! Terms and Conditions Apply, see below. Check out our blog for some more information on attractions in and around the lodge. 1. Discount applies to 1 night, 2-night escape and 3-night Kakadu Adventure packages for 1 and 2 people only. 2. Discount does not apply to individual tours. 7. Credit card payments will incur a 2% processing fee. 10. If a booked tour is unavailable due to weather and/or road conditions an alternative tour will be provided. For those who want a quick getaway and a once in a lifetime chance at the Million Dollar Barra. Enjoy transfers, fishing, tours, all meals and accommodation. Our luxe habitats are air-conditioned and can accommodate 2 people. Our luxe safari tents can comfortably fit up to 4 adults and includes a private bathroom. 2 days on the water will give you a taste of elite sports fishing as you try and catch the elusive Barramundi. Enjoy transfers, fishing, tours, all meals and accommodation. If you catch it, we'll even cook it! If you really love your fishing then 3 days on the water is exactly what the doctor ordered! Stretch out, relax and take in the serenity as you have plenty of time to cast your reel. Enjoy transfers, fishing, Home Billabong tour, all meals and accommodation. If you catch it, we'll even cook it! Bookings for Fish + Glamp packages can only be made directly with the lodge. Please call +61 (08) 89788955 or email reservations@wildman.com.au. 1. This is a pre-pay offer only, payment will be required at the time of booking. 2. Includes following travel dates: 22 March - 6 April 2019, 1 -31 May 2019. 3. No refunds for cancellation or no-show. 4. Gifts cannot be exchanged or redeemed for cash. 5. Package for two people. 6. Credit card payments will incur 2% process fee. 1. Hard copy gift vouchers will be sent via Australia post, normal delivery time between 3-5 days depending on location. 2. Express delivery available for additional cost of $7.50. 3. PDF downloadable version also available on request. 2. Includes following travel dates: 22 March - 30th April 2019. 3. No refunds for cancellation or no-show for total package. 4. Credit card payments will incur 2% process fee. 5. Fishing rods, reels and lures can be provided on request. Any Lodge fishing rods, reels or equipment that are lost overboard or damaged in any way due to customer negligence must be paid for by the customer before leaving the Lodge. 6. Fishing tours that are cancelled due to weather conditions are entitled to a 50% refund of the value of the fishing tour. If a fishing boat has to return during its operation any refunds will be on a pro rata basis. 7. Shady Camp is tidal and salt water fishing tour times will vary depending on the date. Due to this actual time on the water may vary. 2. Hard copy gift vouchers will be sent via Australia post, normal delivery time between 3-5 days depending on location. 3. Express delivery available for additional cost of $7.50. 4. PDF downloadable version also available on request.